Ecology’s Fontana Recycling Center is proud to serve the city of Pomona with excellence in residential and industrial scrap metal and CRV recycling. Our easy to access recycling facility provides the residents and businesses of Pomona with the necessary recycling services. 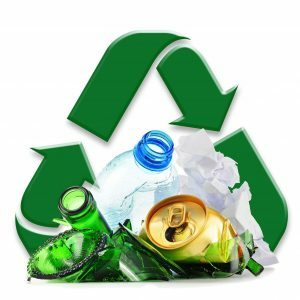 All recyclables that we accept can be dropped off at this location where you’ll find a streamlined process that allows you to participate in recycling and quickly receive your compensation. 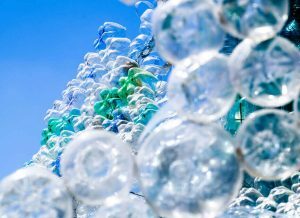 This user-friendly model was designed to make recycling easier for Pomona area residents and businesses. If you place items in the trash that could be recycled, more pollution is created. The items head off to landfills or incinerators instead of being reused, meaning they become pollution. When recycled materials are used, there’s a lesser need for mining. Recyclables replace what would otherwise be new inputs. Mining for new inputs often wreaks havoc on natural environments, polluting water, the air and disrupting natural habitats. Recycling reduces toxic waste and gases. Typically it takes less energy to create an item out of recycled materials than new materials. Saving energy reduces pollution. As if that wasn’t enough, recycling is also good for your wallet. Both scrap metal and CRV are paid for when you drop them off at the recycling center. 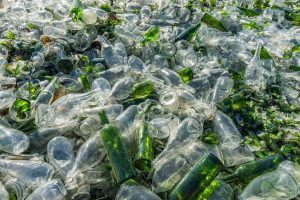 Depending on how much scrap or CRV you have, the compensation can be quite good, especially when you consider the fact that it could have been hauled off in the trash otherwise. One way to turn old unusable metals into something new is through scrap metal recycling programs. Any metal that is no longer used for its original purpose is considered scrap metal. So, any old appliances, car parts, wiring, home hardware, old bicycles, industrial scrap and more are all considered scrap metal. Usually, scrap metal recycling is divided into two categories for practical purposes. Metals are different and contain different elements that are valued and used differently. Although nearly all scrap metal can be recycled, these two categories are used for sorting purposes before the metal is processed. These two categories are ferrous and non-ferrous. Ferrous metals are easily identified because they are magnetic. These metals contain iron and steel and typically come from sources such as old vehicles, old appliances, demolition scrap, structural steel or metal offsets from manufacturing warehouses and industries. In many recycling centers, a giant magnet is used to attract ferrous scrap, separating it from the non-ferrous (and non-magnetic) metals. Ferrous metals command a lower price than non-ferrous metals, but it’s still important to recycle them. Even though there is less compensation for recycling these metals, remember that it’s important to do so for the preservation of Pomona’s environmental resources and well-being. Non-ferrous metals are not magnetic as has previously been mentioned. They are made up of different metals and don’t typically include iron or steel. Some examples of non-ferrous metals include bronze, aluminum, and copper. The one exception? Stainless steel. The name may trick you into believing it’s a ferrous metal, but it’s actually non-ferrous. 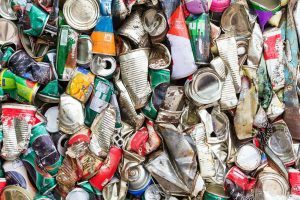 Where can you find non-ferrous metals? Some common sources include window frames, household hardware (plumbing), wires, bicycle frames, and some car parts. Non-ferrous metals command a higher price than ferrous metals. Some CRV items such as aluminum cans are also included in this category. At our Recycling Center, we accept both ferrous and non-ferrous metals including copper, aluminum, brass, iron, steel, and tin. As an environmental leader, the state of California has implemented many programs to preserve the state’s natural resources. One of these programs is the CRV program called CalRecycle, incentivizes both private citizens and businesses to recycle. How? Financial compensation is provided for bringing in certain recyclable items to certified recycling centers such as our recycling center. 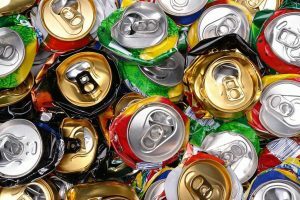 This program encourages items such as soda, beer and juice cans, vegetable juice cans, and wine bottles, etc. to be recycled. These items are typically packaging made of aluminum, plastic, glass and layered metal. Each CRV item you buy has a small additional cost included in the price. Through the program, when you return the items for recycling, you redeem this money back. Most of the time CRV items are processed by a number of items, but if you have more than 50 items, they are often processed by weight. Bring in all of your clean and dry CRV items to our recycling center, conveniently close to Pomona, for compensation. 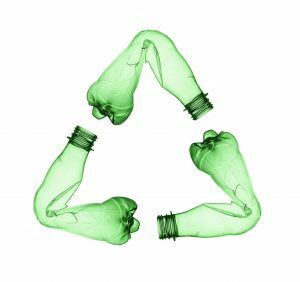 At Ecology, we seek to support both individual citizens and businesses in their efforts to recycle more. Our recycling center was carefully designed with this in mind. Through this center, we serve the entire San Bernardino, Fontana, and Pomona areas. Whether you are a private citizen or own a business, we can help with your recycling efforts. Our easy to reach location means that you can pull between a few neighbors to bring your items in or stop by on your way to a nearby destination. Close to Pomona, our recycling center is also streamlined so that your stop with us will be short, sweet and successful. To provide adequate support for industries, businesses, and organizations that handle large quantities of scrap and CRV, we offer roll-off bins that can be delivered straight to your property. Our full-service recycling bins include drop-off of a new bin and hauling off your recycling once it’s full. Call to discuss the different size options we have. Pomona is a beautiful city in the Pomona Valley, tucked away in southeastern LA. Like the rest of the area, Pomona enjoys mild winters and hot, dry summers. The city also hosts the L.A. County Fair and a number of other important events in the region. 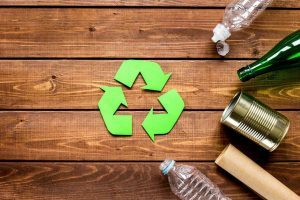 Ecology Recycling works hard every day to provide the hard-working, responsible residents of Pomona with easy access to recycling through our recycling center. Whether you represent a business, industry, factory or household, we are here to support you in all of your recycling needs. Feel free to contact us to find out more about our CRV and scrap metal recycling programs, our current compensation rates and to ask any questions. We look forward to helping you meet your recycling needs soon.